Are you looking for new ways to market your business? Have you tried Periscope? From a business perspective, Periscope is a really great way to market a product. You might have limited audience at the very beginning, but the numbers will quickly grow based on your content, audience and promotion efforts. Below are a few ways that you can use the app to benefit your business. To be a successful marketer, you need to make sure that you use a Periscope name that your viewers will easily associate with your business. Periscope allows you to interact with your viewers in a personal manner. Take advantage of it. Humanize your brand by offering your customers an inside look at your business. This will help you establish an emotional connection. Like any other social media site, it is important that you maintain an active presence. Interact with other broadcasts too so as to build a following. Besides showing your following what goes on in your business, you could also use Periscope to take them behind the scenes. Something as simple as showing how your product or your team at work can strengthen your customers’ trust in your brand. Periscope is all about instant news. You could use the platform to announce the release of a service or product. You can simply have one of your team members announce the product. Use Periscope to create a weekly live broadcast the same way you would do a podcast. You can also use the platform to do an interactive product demonstration on how to use a product. Answer your viewer’s questions while at it. Periscope is a great way to share breaking news as it happens. This could be new advancements or opportunities. You can use the platform to build a mailing list. During your broadcasts, ask your viewers to leave their email addresses in the comment section. You can then enter their details on your database later. Empower, educate or entertain. Just make sure your content is beneficial to your target group. Get to the point quickly. Keep it tight and keep moving. You can repurpose your broadcasts to be used on other social media channels. This of course will save you time and money. Besides using Periscope for demonstrations, you can as well use it to hold live-trainings. Those free trainings will of course position you as an expert in the industry. Use the platform to showcase live events. Periscope allows you to reach a global audience. And they can all watch right from their mobile gadgets. Use the platform to interact with your customers in the Q&A sessions. This is definitely a great way for you to establish authority in your field. Because the platform allows you to interact with your viewers in real-time, it is one of the fastest ways to crowdsource feedback, ideas and other forms of information. You can as well conduct a survey. People love giveaways and discounts. Use the platform to announce these offers. Make them Periscope-only offers to make your viewers feel special. You can use Periscope to provide your customers real-time customer service. It is a cost-effective way to provide support. 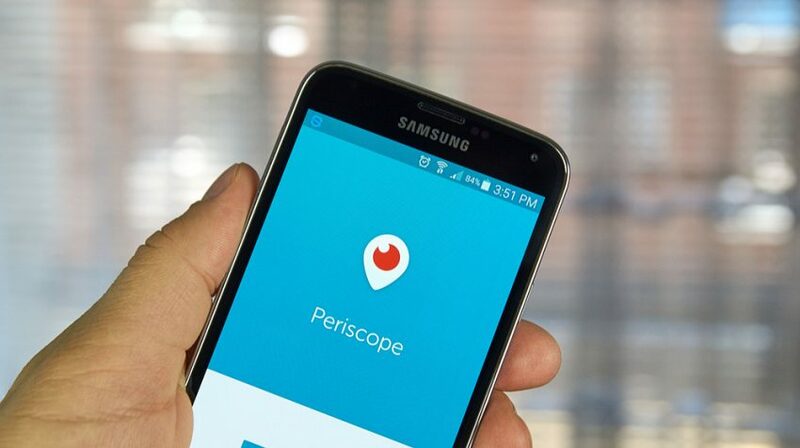 Expert appearances are a sure way of generating followers at live events and that’s no different on Periscope. The advantage of featuring experts is that they already have an existing fan base that you can tap to. Use the platform to gain interest from potential investors. Walk them through your day-to-day activities in your business and let them see the passion and competency at work and they might just invest in your business. People like buying from people they know and not faceless businesses. Use Periscope to tell your business story. What problem did you notice? How are you solving it? A good number of Periscope users are millennials. So if you have a business that targets this group of individuals then you should make good use of the platform. Use Periscope’s data on lead sources and daily opt-in to analyze what’s working and what’s not working. This will help you identify gaps in your marketing strategies. Are you looking to attract more talent in your business? Showcasing what your business is all about might just attract the right talent to your business. You can as well get creative and use the platform to fundraise. You can use it to host a live fundraising event. It is an easy way to get your messages out in real-time. Conducting live interviews is a good way to improve your brand image since customers will look at your brand more favorably if it is engaging with other experts. Use the platform to hold a dialogue between you, your guests and viewers. You can as well use Periscope to tell people about upcoming social media events. They’ll definitely be excited if you tell them about it on live video. This will likely increase the number of participants. Besides using Periscope to interact with your customers, you can also use the platform to better engage with journalists. Engage with leading journalists from all around the world. Besides reaching out to potential customers, you can also use the platform to encourage users to share their personal brand experience. This is more powerful than getting feedback on individual products as it says more about your business as a whole. Transitioning to a global economy may not be an easy task. One of the biggest challenges would be a way to connect with foreign customers. Periscope however removes that barrier. You can now communicate with your customers from all around the world in a cost effective way. You can now easily check what your competitors are up to by checking their Periscope videos. This should also help you improve your own business campaigns.